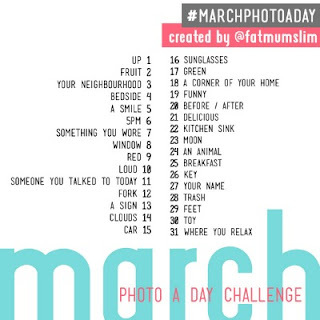 In February, I participated in an Instagram photo a day challenge hosted by Chantelle at Fat Mum Slim. She's put together another list of prompts for March ... so I'm doing it again.I really loved the unique and random photos from February. Totally fun. You should try it.